Originally from Pasadena, Fr. 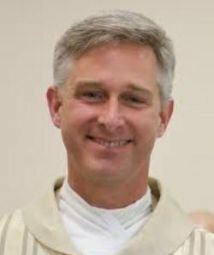 Sebastian Walshe is a Norbertine Canon of the Abbey of St. Michael in the Diocese of Orange, California, where he is a professor of philosophy for the seminary program. After completing his studies at Thomas Aquinas College in California, he continued studies at The Catholic University of America in Washington D.C., receiving a license in Philosophy. Later, he attended the Pontifical University of St. Thomas at Rome (the Angelicum) where he received a Masters in Sacred Theology and a Doctorate in Philosophy. His thesis was entitled: "The Primacy of the Common Good as the Root of Personal Dignity in the Doctrine of St. Thomas Aquinas." From 2003-2005, Fr. Sebastian was also a visiting professor in the Philosophy Department at the Angelicum. Lunch begins at 11:45. Talk begins at 12:00 Sharp! Your $15 contribution helps cover our costs in bringing you these monthly speaker engagements. Join us on the third Wednesday of each month for more great talks and Catholic fellowship.